The iconic Avengers cast was on Jimmy Kimmel Live the other night as the part of their marketing tour for the upcoming Avengers: Endgame and some amazing facts rose to the surface. It turned out that one of the most talked-about lines from the notorious Thor-Hulk scene was invented by a little boy. Fast forward to the epic fight when Thor first discovers that Hulk is the one he will battle with in the arena and says “he is a friend from work”. As it turns out, the line was not in the original script but in fact a product of a boy’s imagination. 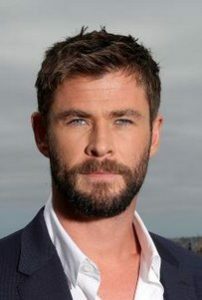 As Hemsworth revealed himself, the young guest came to visit the set and watched making of the scene from the crowd. He didn’t like the original line and felt free, as only children do, to suggest something different. He had a completely different idea about what Thor should say. The Thor star was accompanied with Paul Rudd, Scarlett Johansson and Robert Downey Jr as they kicked off the Avengers: Endgame press tour, a year after Infinity War hit cinemas and left fans in a complete frenzy with who disappeared from the face of the Earth. This massive, eagerly anticipated finale to the first decade of the Marvel Cinematic Universe, known as the Infinity Saga, is approaching really fast and its release is just a few weeks away, at the end of April. Stay tuned for more news and prepare to be flabbergasted when our favourite heroes come back to save the world.